Kettering Borough Council has urged residents to be mindful of neighbours as it was named second worst town in the East Midlands for noise complaints. As a response, the council is promoting national Noise Action Week this week, an initiative by Environmental Protection UK to encourage noisy neighbours to keep the volume down. 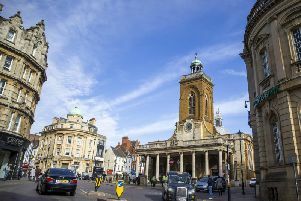 Following its ranking by national statistics as the second highest town in the East Midlands for noise complaints over 2013-2014, it also aims to raise awareness of the services available within the borough to help tackle noise issues, though it recommends trying to resolve problems informally first. The council is also specifically encouraging landlords to crack down on noisy tenants to avoid being held responsible for any form of antisocial behaviour. Shirley Plenderleith, the council’s head of environmental health, said: “The number of noise complaints to the council is increasing. Excessive noise can be stressful and affect our health, so it is a real concern to people. The majority of neighbours we speak to don’t know that they are causing excessive noise.  Burglar alarms: Ensure that your burglar alarm has a 20-minute cut off switch and appoint a key holder who can be contacted if the alarm goes off.  DIY: Do noisy DIY jobs during social hours or agree with your neighbour a suitable time particularly if they are shift workers. To report a noise-related problem in Kettering borough or for further information, contact Environmental Protection, on: Kettering 534366 or at: environmentalprotection@kettering.gov.uk.